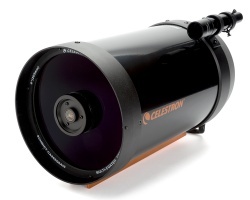 The Celestron C6-N Newtonian telescope uses diffraction-limited parabolic primary mirrors for razor sharp star images across a wide field of view. An excellent choice for the serious astronomer, the Celestron C6-R is the largest telescope in its class with over 6 times the light gathering ability of a 60mm refractor. 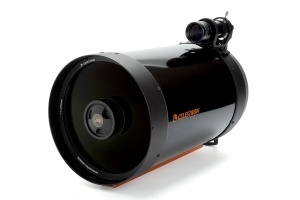 The Advanced C6-S is Celestron`s first new Schmidt-Cassegrain optical system in over a decade. The C6 is a totally unique aperture size. 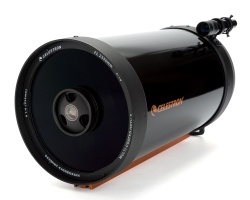 Our NEW 6” Schmidt-Cassegrain features a precision optical system with 1500mm focal length (f/10) and offers 40% more light gathering than a 5” telescope. 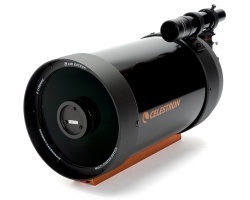 All C6-S models come standard with Celestron`s StarBright® XLT coatings at no extra cost. Celestron Schmidt-Cassegrain Optical Tube Assemblies (OTA) are available individually for use with your favorite mount. Each OTA is made to the same exacting standards as those used on all our high quality telescopes. All optical surfaces are coated with Celestron’s high efficiency StarBright® multi-layered coating group. These tube assemblies are equipped with either Vixen style (CG-5) or Losmandy (CGE) dovetail bars to fit a wide variety of mounts. Celestron Schmidt-Cassegrain Optical Tube Assemblies (OTA) are available individually for use with your favorite mount. Each OTA is made to the same exacting standards as those used on all our high quality telescopes. All optical surfaces are coated with Celestron’s high efficiency StarBright® multi-layered coating group. These tube assemblies are equipped with the either Vixen (CG-5) or Losmandy (CGE) dovetail bars for a compatibility with a wide variety of mounts. 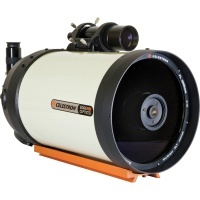 Capture spectacular wide-field deep sky images in seconds with Celestron’s new portable astrograph, the 8” Rowe-Ackermann Schmidt Astrograph (RASA). This incredibly fast f/2.0 system is the perfect companion to today’s color astronomical CMOS cameras, smaller CCD cameras, and mirrorless cameras. 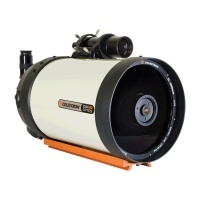 The same optics as used on the Celestron 11" SCT telescope packages, this is your chance to own this highly regarded optics should you wish to use it on your own mount and tripod. EdgeHD is an Aplanatic Schmidt telescope designed to produce aberration-free images across a wide visual and photographic field of view. The optical system was designed to reduce more than just off-axis star coma, but also to give an astrograph quality flat focal plane all the way to the edge of the field of view.